Saturn, the slowest moving yet the biggest Karmic player in Vedic Astrology will be leaving its inimical sign Scorpio and enter the Fiery sign Sagittarius on 25 January 2017 at 18:14 IST (+5:30 hours UTC). Saturn will continue its forward and retrograde motions for about 36 months in Sagittarius and will enter earthly sign Capricorn on 23 January 2020 at 12:41 IST. Saturn goes Retrograde (Rx) on 6 April 2017 at 09:28 IST and enters Scorpio (Vrischik Rasi), Jyeshta Nakshatra back on 22 June 2017 at 11:05 IST. It goes direct in Scorpio on 25 August 2017 at 15:49 IST and re-enters Sagittarius on 25 October 2017 at 11:29 IST. Saturn in Libra tested our commitments in relationships, while Saturn in Scorpio tested dynamics in them. Now, Saturn in Jupiter owned sign Sagittarius, is contraction versus expansion in motion. Saturn in Sagittarius asks us to take on the responsibility of living according to our personal truths and principles, which are formed based purely on our experiences and to be loyal to these. These 3 years is the time for turning a critical eye to those beliefs and principles that do not accurately reflect our authentic selves. Saturn invokes a craving for the qualities of whichever sign it inhabits or planet it touches. With Saturn in Sagittarius, we crave knowledge, wisdom, and life experience and its meaning, but it will take some time to get there authentically. Saturn seems to slow things down to a near-stall, and this can be agonizing if we are impatient by nature or if we want instant results. Saturn takes its time, and this is a good thing. With Saturn, we can only get to a healthy, balanced place if we take our time doing so, thoroughly. 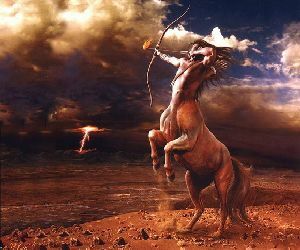 Excessiveness and irresponsibility are made to pay a big price by Saturn in Sagittarius. Saturn demands definitions, structures, and commitments. But most of us assume that, as soon as something is defined, structured, or committed, we feel caged, trapped, or limited. Saturn in Sagittarius can teach us that there is freedom and liberation in abiding by certain rules, and in some level of self-denial. Saturn in Sagittarius will test our moral sense. If we’ve become too moralistic, we may be challenged to walk the talk and practice what we preach. This is more applicable to politicians and celebrities who make tall claims but never live upto them. On a fitness level and for better health during this transit, it is be important to walk, run, stretch, circulate, build flexibility, and take care of our legs, veins, hips, and thighs. Disciplined or solitary sports fare well now. Also, this is a good time to hit the gym or practice one particular Yoga Aasana, suitable for your body. Most of our basic assumptions about life, will be tested. There can some moments, during which, harsh realities will be forced down our throat. Some of our trusts and beliefs can be broken. Saturn, till 6th April and again after 25 October 2017, will aspect Uttarashada, Arudra and Magha nakshatras. Between 6 April – 22 June 2017 and again during 25 August – 25 October 2017, it aspects Anuradha, Mrigasira and Aswini nakshatras. Between 22 June – 25 August 2017, it aspects Visakha, Rohini, Revathi nakshatras. People born with moon in above nakshatras will face some tough times, hurdles in their work, financial hiccups, losses in business, threats of losing job, defamation, ill-health of self or family members, lack of concentration in education and strained relations at home or work. Only during 04 December 2017 – 08 January 2018, Moola, Uttarashada, Arudra and Magha nakshatras can expect some relief as Saturn remains combust by conjuncting with Sun. The 7.5 year transit of saturn (Sade-Sathi) effects will be severe for people born with moon under Moola and Uttarashada constellations. Saturn yielding Ketu’s results until 01 March 2018, will lead to rise in spiritual interests, religious organizations, religious wars, publicity for ancient dharma and literature, increased interest in Ayurveda. Later during November 2018 – December 2019, Saturn transit in Poorvashada nakshatra leads to innovations and creative ideas in cinema, entertainment, gaming, music etc. This is also the time when Ketu conjuncts Saturn and aspected by Rahu in Gemini, which leads to a war like situation. In general, Saturn (Sani) transit in Sagittarius (Dhanus Rasi) is bad for people born with moon in Aswini, Rohini, Aslesha, Uttara Phalguni, Swati, Anuradha, Poorvashada nakshatras. Next 3 years will be tough on economy of USA, France, UK, Germany, Italy and few more European countries. It is also bad transit for Pakistan, Pacific Islands, Bangladesh, North-East and North-West states of India. East Coast of USA will be hit by a cyclone. India-Pakistan will go to War during this period.